Mert, Bora and Volkan are very good friends and all of them have successful careers. Mert is engaged to Ayça, who is a daughter of wealthy and respectable family. Ayça’s brother, Umut, is a painter and rather a bohemian who owns an art gallery in poor neighborhood. Umut organizes a party for Mert at this art gallery and invites all the friends. However the people in neighborhood does not like this party and starts to complain. Especially, Selin’s father who lives just next to Umut’s gallery and he is concerned for his daughter’s safety. Selin is a beautiful and single girl living with her brother, gambler father and ill mother. Selin’s barbaric father is a truck driver and he needs to leave home for work at the night of the party. He hesitates to leave his daughter at home when such a party is ongoing just in next door. At the same time, the guys at the party becomes drunk and leave the gallery in hurry since they are late to the engagement. On the way, they meet with Selin’s father’s truck. Drunk guys and Selin’s father starts to fight because of the road. Everybody in the neighborhood becomes involved into the fight and when the guys try to protect themselves, they kill Selin’s father by accident. The young people fall into disgrace and are shocked by this event and they put the corpse in their baggage and go to the engagement. Mert, the most discreet among them, offers to go to the police many times however others prevent this by saying that police won’t believe them. After this incident, new secrets will reveal and it will not leave their lives. 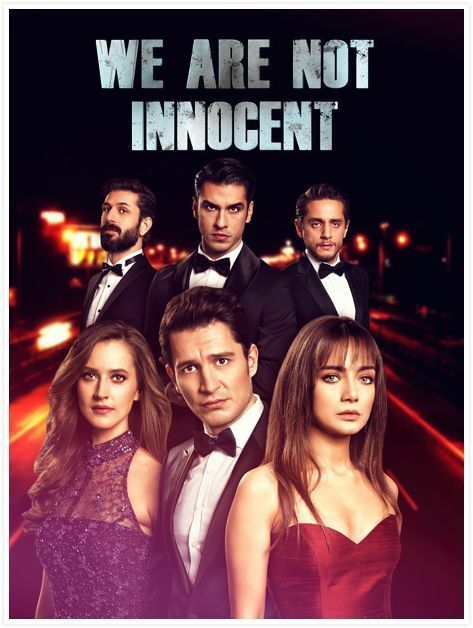 Selin will fall in love with her father’s killer unknowingly and Mert will always carry the guilt in his heart.